Shot 150 rounds of UMP this weekend. First box, no problems. Second Box, a number of times(7-9 rounds out of 50) I pulled the trigger, nothing happened. No fireing pin mark on shell. Gun appeared in battery. Third box, (about 5-7 rounds) . same thing happened, except I did see the pin mark on the case of each shell. It is possible that my XDS (3.3 9mm) is just being broke in, but it really did not like the UMP rounds I put through it. The Federal rounds I shot the same day, I put through with no problems whatsoever. 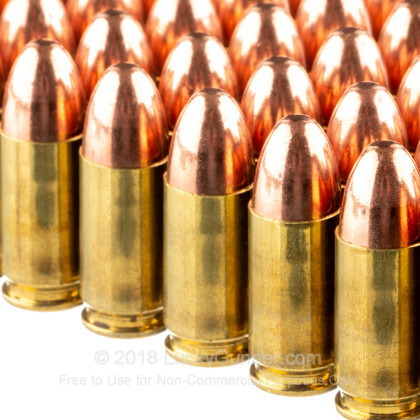 I haven't fire it yet my purchased ammo but this site is awesome! 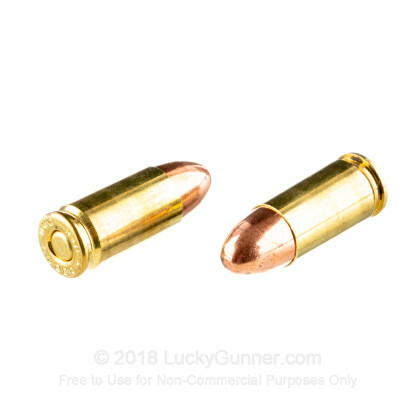 Reasonably low price, fast shipping and a great site to do business with when it comes to ammo needs as well as some other firearms accessories. It arrived on time from site, product was easy to shot and worked well in the glock. One of the most accurate for ammo I've shot through 9mm's. Fast shipping. Company does great job with site and easy to work with! Great Ammo! and better service! My first order from Lucky Gunner and I will definitely order again. Super fast shipping. Updated emails and tracking # sent quickly. What more can you ask for? 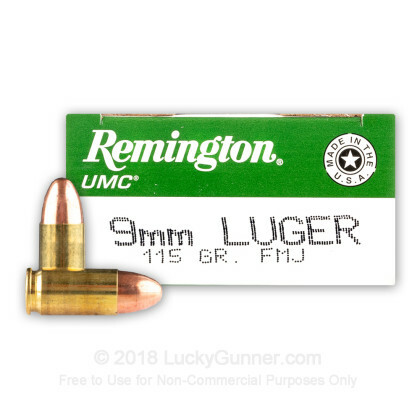 I happened to find this ammo at a big sporting goods store for a little cheaper but it's hit and miss when they will have any in stock. With Lucky Gunner a few clicks of the mouse and you're done. This ammo shoots excellent out of my SAR B6 and my Taurus T111. No duds at all. Lucky Gunner is the first go to place for good prices and prompt delivery. I appreciate the frequent emails showing specials that are in stock. Good work Lucky Gunner. Great Service from LuckyGunner. I had the product even faster than I expected. Great product and awesome service. LuckyGunner is now bookmarked at the top of my list and I am recommending it to all of my friends and family. Ordered on Wed @ 6:30 pm & Received @ 11:30 am on Fri.
First buying experience was smooth-sailing! 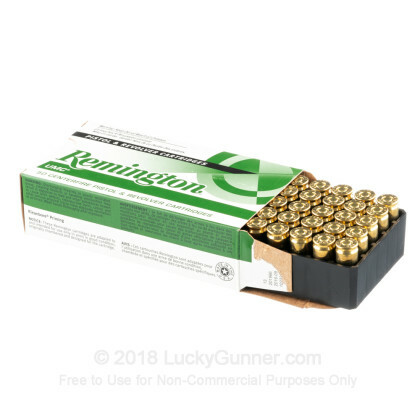 Saw Remington's 115gr here and figured I'd at least pick up another box (can't wait till pay-day). As a first-time Glock & 9mm-owner, I can't tell you how much I appreciate how fast and easy your site is to use, keep up the great work! I've fired several hundred rounds through my S&W 5906 and Sigma SW9VE with misfire or jam and they shoot clean and straight. When the gun is at home JHPs are in the magazine but I would still trust these to get job done if necessary. Not a dud in the bunch. The shipment was also fast however beware that the boxes are not in a standard brown box. I had these shipped to my job at a courthouse and each delivery driver gave me a strange look. Very uniform performance, excellent value. From ordering to delivery, great service!! This was the best service of any online company I have ever made a purchase from!! I'll be back! I have a Kahr CM9 & it is very picky as to the ammo it will shoot without jamming. It is still being broken in. 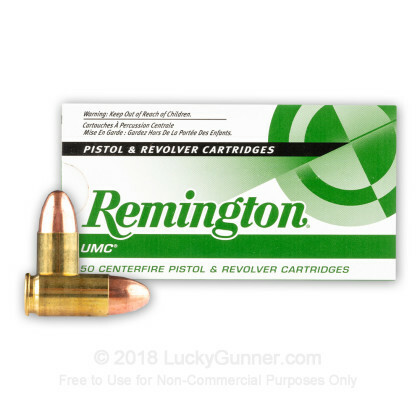 I ran 100 rounds of these Remington 9mm with NO JAMS! I get the best results for my picky pistol with these. Any 9mm ammo is hard to find in my area (Ft. Lauderdale, FL). All the shops & stores, with them priced decently, are sold out, Lucky Gunner is the best way to go! RECEIVED ORDER QUICKLY. GOOD PERFORMANCE. WILL CERTAINLY USE LUCKY GUNNER AGAIN AND AGAIN. VERY HELPFUL PERSONNEL. Bought several boxes of these, and I couldn't be happier. I also want to give a warm thanks to the customer service on Lucky Gunner. FedEx said they delivered the package (they didn't) and Lucky Gunner responded to my emails immediately replaced my order right away. They now have a customer for life. As far as Lucky Gunner, Im very happy with their customer service and shipping, I dont think anybody shipped it as fast as they did. No misfeeds, no jams, no duds and right on target. A good target and varmint round. Went through 650 rounds in 4 days with zero issues. 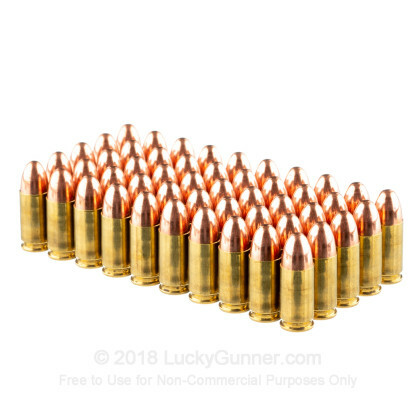 Very good range ammo, especially for the price. I got two boxes and took the first one out the first day I recieved them. Not soon after, I kicked myself for not bringing the second (but I needed something for my son to shoot). Clean ammo, no issues at all. Its a trusted ammo mfgr and so is Luckygunner!! A great range round and you cant beat the price. Used 250 rounds last week and not one round caused any problem. I use a ruger P95r. All in all an affordable day out.